​The Brexit Kids: How will our graduates weather the storm? 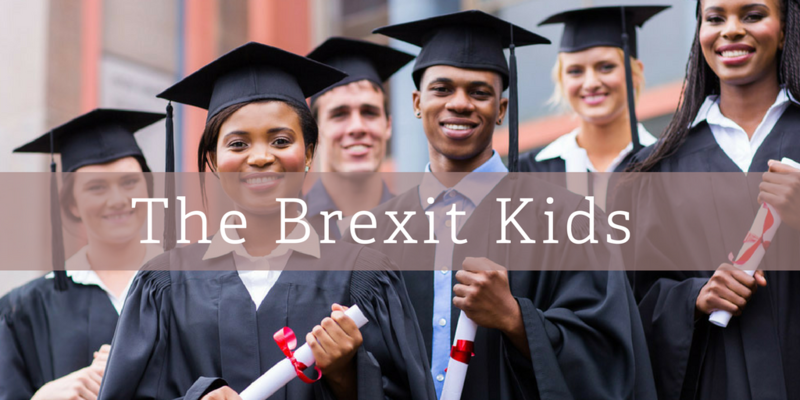 The Brexit Kids: How will our graduates weather the storm? According to the newly released Business Tendency Survey the outlook for future business activity was strongly positive, with the finance sector being more positive than other sector. Furthermore, the outlook for future employment was positive, although a majority of companies expected no change. This bodes well for us and our financial services industry and certainly the outlook must be bright for our graduates? The newly released UK Graduate Careers Survey 2017 from High Fliers found that three quarters of students are expecting a tougher and ‘limited’ job market following the Brexit result. In response, sectors vulnerable to Brexit have seen a drop in the number of graduate applicants. If we look across the water to the UK we see that London continues to be the financial capital of the UK with over half (54.9%) of all vacancies located here. The best growth was experienced by the West Midlands with a 29.7% increase, thanks, in part, to increased hiring activity by HSBC. However, Brexit fears still loom large and our young people are not immune from the uncertainty we face. Such is the magnitude of the change, that in response the States of Jersey have delivered a workshop to which focused on the implications and opportunities presented by Brexit for the Island’s agricultural and fisheries industries. It was organised by the Department of the Environment, the Department for Economic Development, Tourism, Sport & Culture, and the Ministry of External Relations. Further workshops for States Members on the Customs Union, Immigration, and Financial Services will take place in the coming months. It seems the island’s government is taking heed and listening to the voice of The Jersey Chamber of Commerce who ‘strongly urge our government to ensure engagement with the business community, across all demographics is prioritised’. So it’s not all doom and gloom. Graduates have the skills employers are looking for and there are some excellent local opportunities across many sectors, not just finance. We know the exciting places to work and the companies that have ambitious plans for the future, these can only be realised with the talent and expertise of the people they recruit. We work closely with our clients to create a pipeline of talent for the future. Highly qualified and committed graduates with an international perspective are highly sought after. We know the companies with graduate schemes. We will provide sound advice on the best companies to approach. We know who can support your chosen career and who can help you develop your creative, commercial and analytical skills which are essential in today's working world. We can help students with the important decisions involved in choosing a career; whether that is a career in finance or any other sector. We offer professional advice on career progression, and support students with the challenges and opportunities they face as they seek jobs in Jersey or further afield.